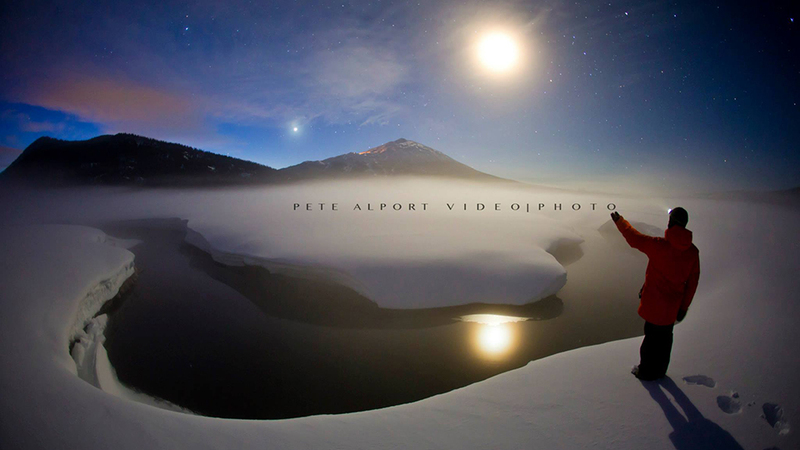 Pete Alport is an accomplished and veteran photographer, videographer, mountain guide, and shoot organizer based in Bend. Upon graduating from college, he followed his love for the outdoors to Bend where, beginning in 2002, he began working for an action sports television show, which led to filming commercials and actions sports with well-known local house Rage Productions. Following that, he began directing and filming commercials and features for Poor Boyz Production, eventually beginning to consult for companies such as Mt Bachelor. Gaining recognition throughout the ski, snowboard, and outdoor industries led Pete to create a photography and film business. Along with his immense knowledge of the backcountry, Pete is an experienced event facilitator and organizer. Because of his genuine love of the outdoors and skill in the backcountry, from sun up to sundown he is exploring with family and friends, creating opportunities for amazing photos and videos. He has over 19,000 followers on Instagram, and for good reason.